Go watch whales and dolphins in the Bohol Sea with the locals of Pamilacan. Ex-whale-hunting boats called canter have been refitted specifically for a safe and comfortable trip. The boats, measuring 15 to 20 meters in length, can accommodate up to seven passengers. Each of these crafts is furnished with seats and roofing, and equipped with life vests. You will be accompanied by skilled spotters whose familiarity with the area also makes them excellent guides. The best season is the months from March to June, but resident dolphins and small whales can be found all year round. Tours are dependent on weather and sea conditions. Wear light clothing preferably with a bathing suit underneath, soft-soled flat shoes or slippers, sunglasses, sun hat and sun jacket. Expect a rough ride and expect to get wet! So bring extra clothes, a towel and take motion sickness pills. Others important things to bring include binoculars, camera and film, skin lotion, snorkeling equipment. Dolphin watching is a daily attraction in Pamilacan Island. 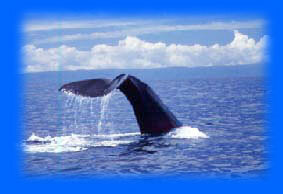 Lucky ones have a chance to see Sperm Whale and Bryde's Whale during the months of March, April, May and June. A highly skilled spotter will accompany all trips, and serve as guide while looking for the majestic creatures in their natural habitat. This tour was designed mainly to help the fishermen of Pamilacan Island whose main source of income used to be catching dolphins, Bryde's whales, whale sharks and manta rays. A highly skilled spotter will accompany all trips, who will serve as a guide while looking for the majestic creatures in their natural habitat. Blood Compact Site (Tagbilaran City) - View the spot where the Spaniards and the Filipinos fostered friendly relations through blood. This is considered as the 1st Seed of the United Nations and 1st Treaty of Friendship between the brown and the white race. Baclayon Church (Baclayon) - Behold an old stone church along with it's religiuos relics dating back to the early 16th century inside the museum. It is considered as one of the oldest stoned church in the Philippines. Loay Backyard Industry (Loay) - Observe the local craftsmen as they made bolos and other metal crafts. Witness also as the men and women made the Nipa leaves into a roofing materials. Clarin Ancestral House (Loay) - Visit a typical Boholano home which was declared by the National historical Institute as a heritage site. View the collections of the Clarin Family displayed inside the house. Tarsier (Loboc) - See the smallest monkey in the world along the Loboc River. Man Made Forest (Bilar) - Feel the coolness of the air and view the awesome display the thousands Mahogany Tree painstakingly planted by the local people. Chocolate Hills (Carmen) - Feast your eyes on the breathtaking work of nature, one thousand two hundred sixty eight (1,268) haycock hills which turn brown during dry season. This is been considered as one of the wonders of the world. Loboc-Loay River Cruise (Loboc) - View the majestic panorama of the nipa palm plantation along the Loboc - Loay River. Sometimes wild ducks are seen feeding and swimming in the river. While cruising lunch will be served on board. All entrance fees, aircon land transfers, tour guide, river cruise, lunch during the river cruise. Note: The Bohol Countryside Tour stops will be the same as in Package 3. 03:00	 Arrive at pier or Alona Beach. Please note that all rates are quoted per person and in Philippine Peso. Please read our policy before reservations.